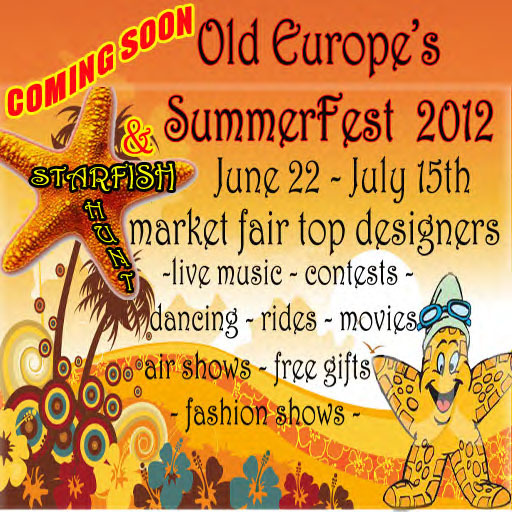 You have one more day to participate in Old Europe Village's Summer Fest Starfish Hunt and Market Fair. 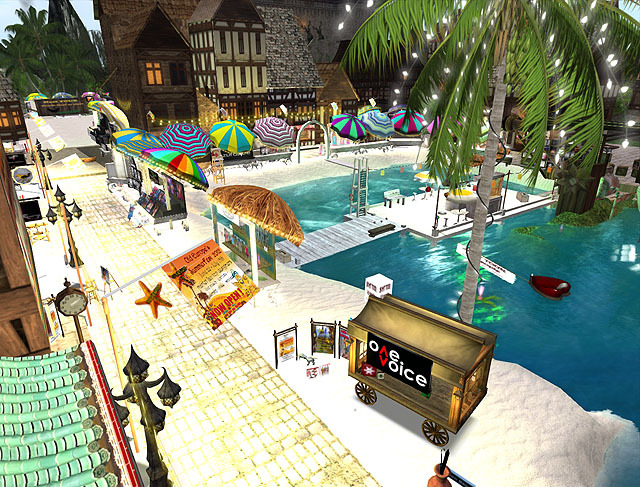 Featuring top Second Life designers. The hunt and fair ends on July 15. There are many free items hidden within the Starfish, located on or around many of the carts. 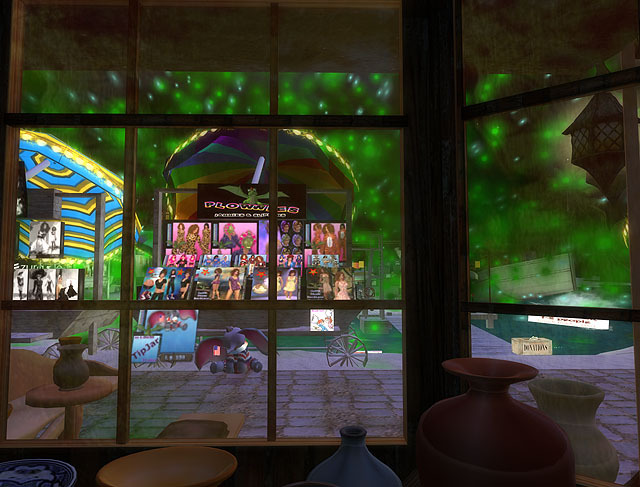 Don't miss this opportunity to receive free high quality gifts and view the latest beautiful clothing and products from some of Second Life's best creators. Click here to visit Old Europe. 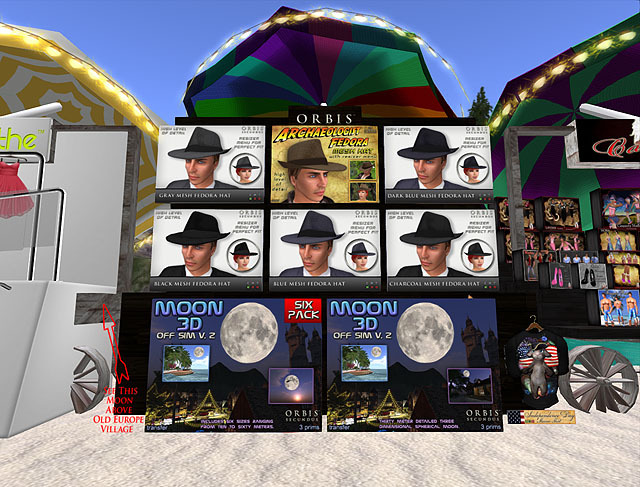 Orbis Secundus has a cart featuring our new hats and our off sim Moons at the far East side on the left. Old Europe is owned and operated by Up4 Dawes and his partner Rux Anatra. Don't miss the light shows presented by Up4 Dawes. 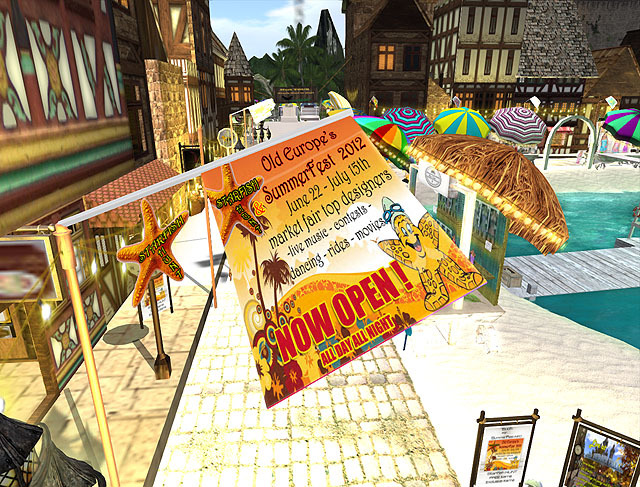 The fair and hunt ends July 15, 2012.